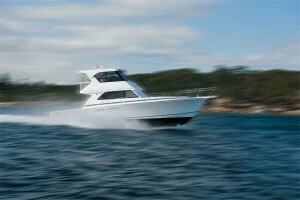 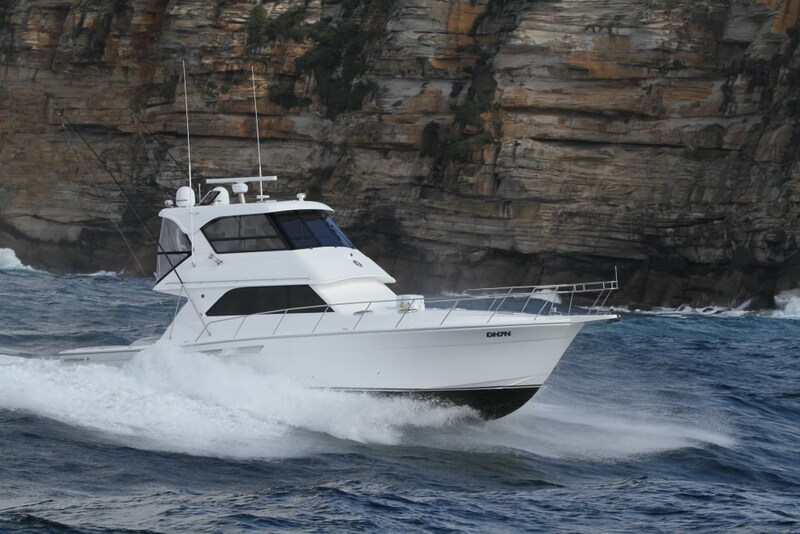 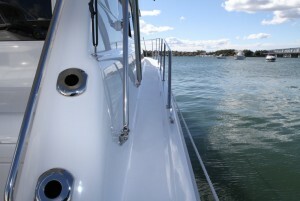 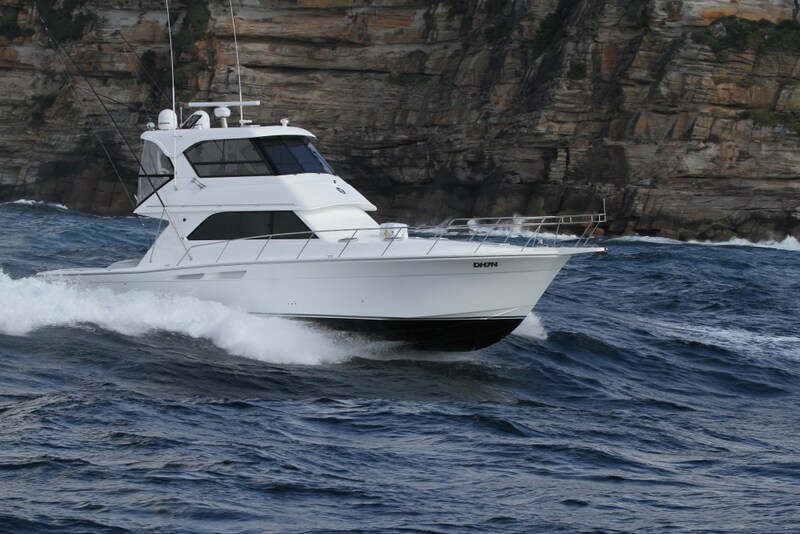 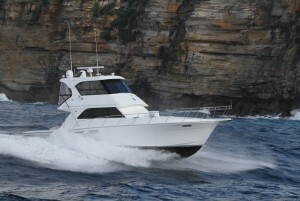 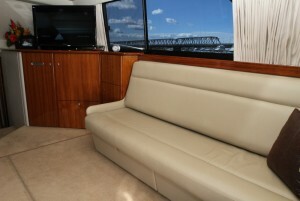 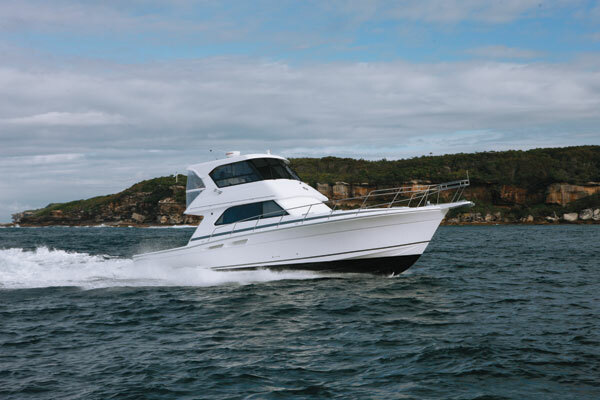 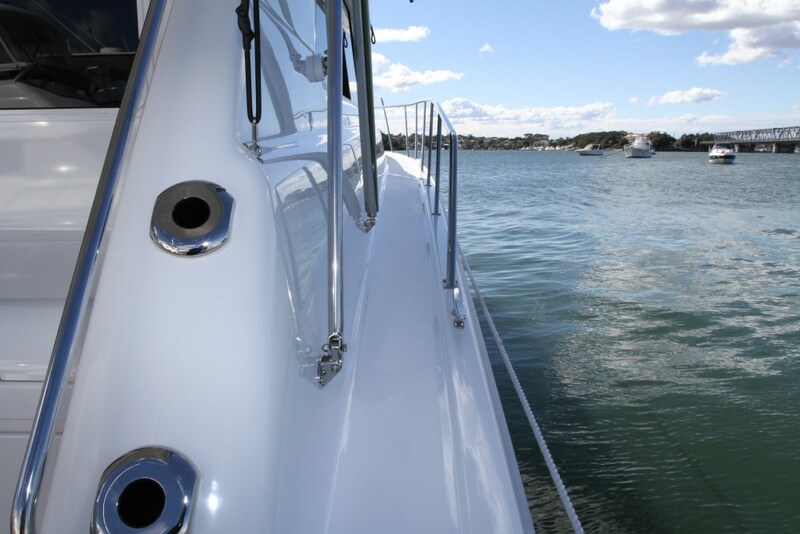 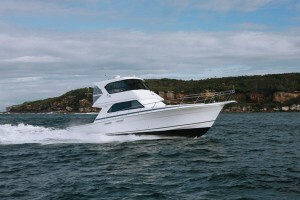 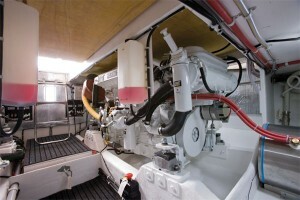 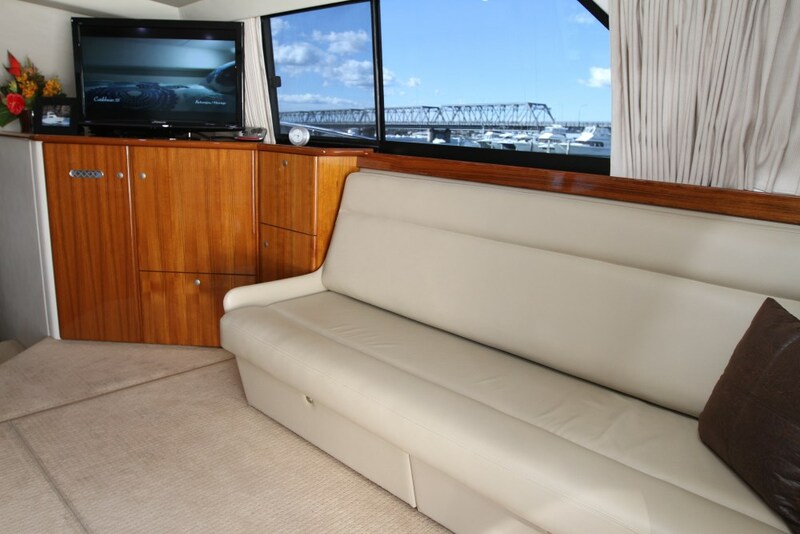 The Caribbean 49 enclosed flybridge is one of the largest volume boats ever to be built in Australia. 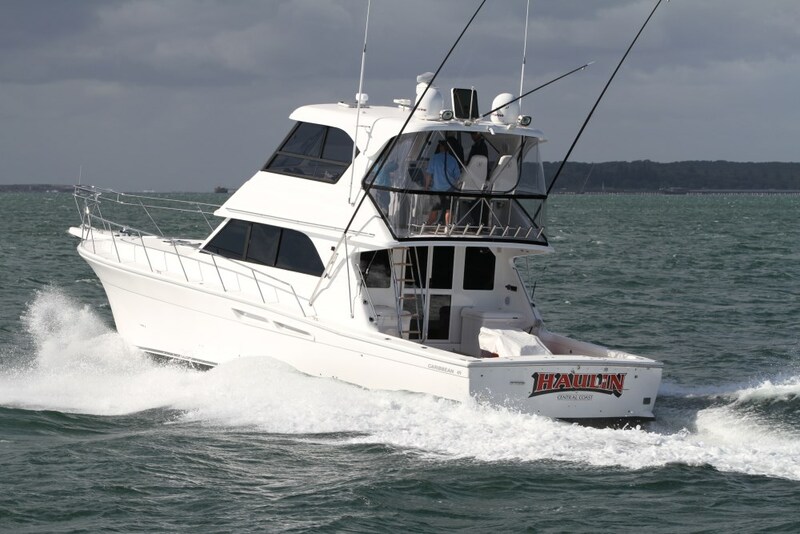 Designed and built with both the gamefisherman and family cruiser in mind, the Caribbean 49 is powered by twin 715hp QSM11 Cummins diesel shaft drive engines and comes standard with a 13.5KVA genset. 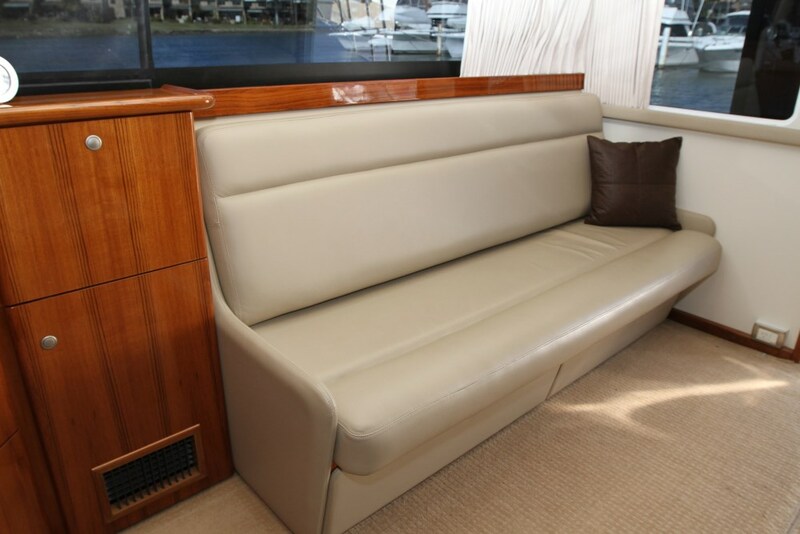 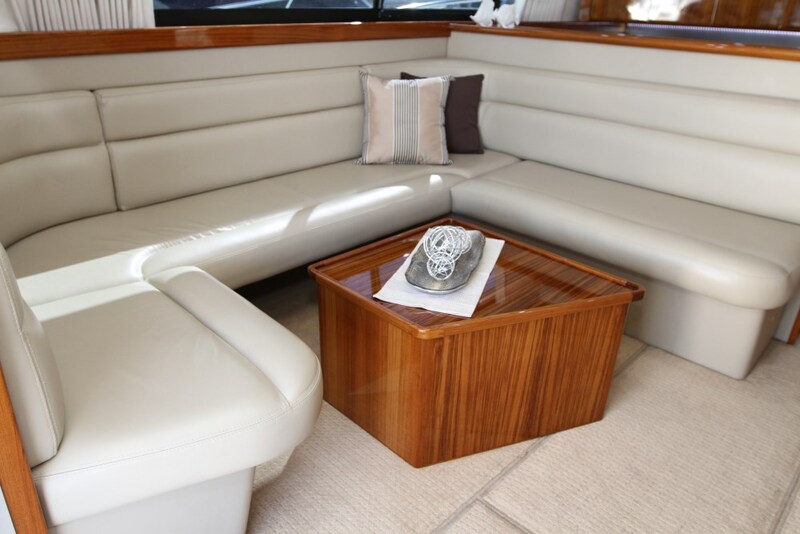 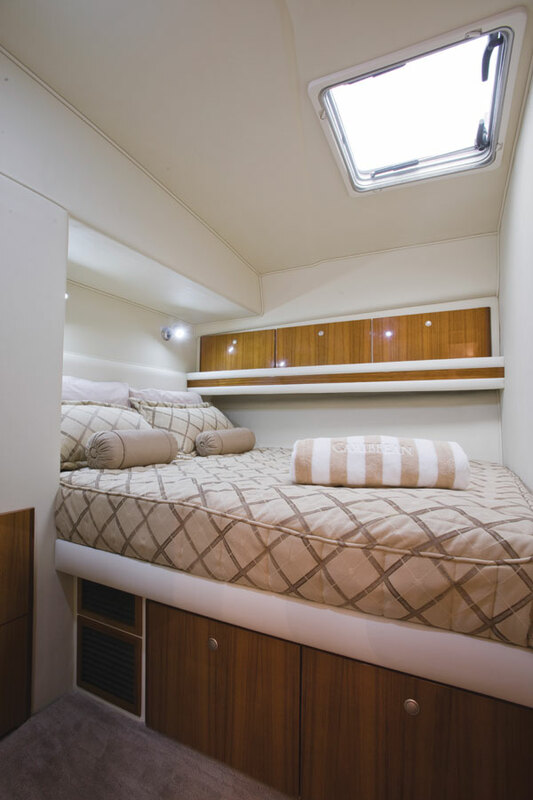 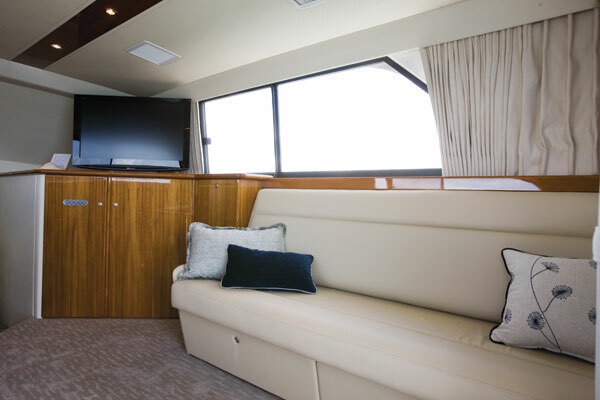 As you walk in to the saloon through the twin rear sliding door, you are met with a huge saloon with port side dinette and star board side lounge that converts to make an additional three berths. 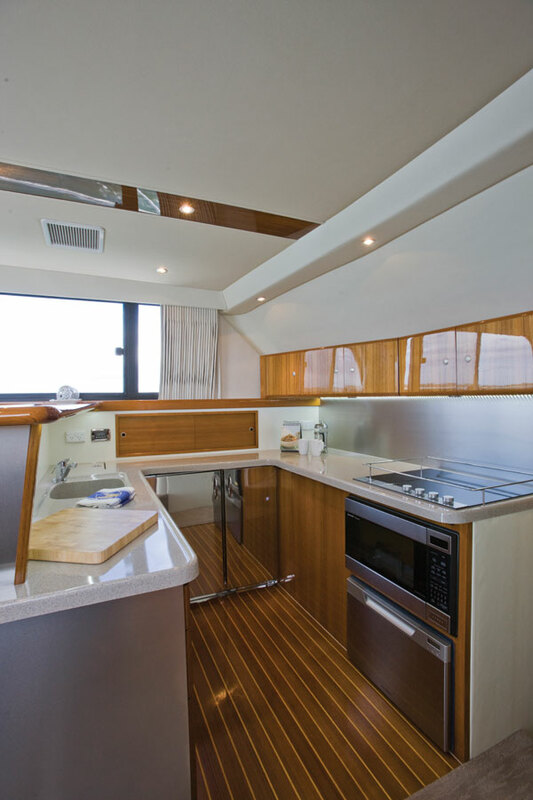 The forward galley contains an abundance of storage and is fitted with convection microwave, four burner cooktop and U-Tec fridge with separate freezer. 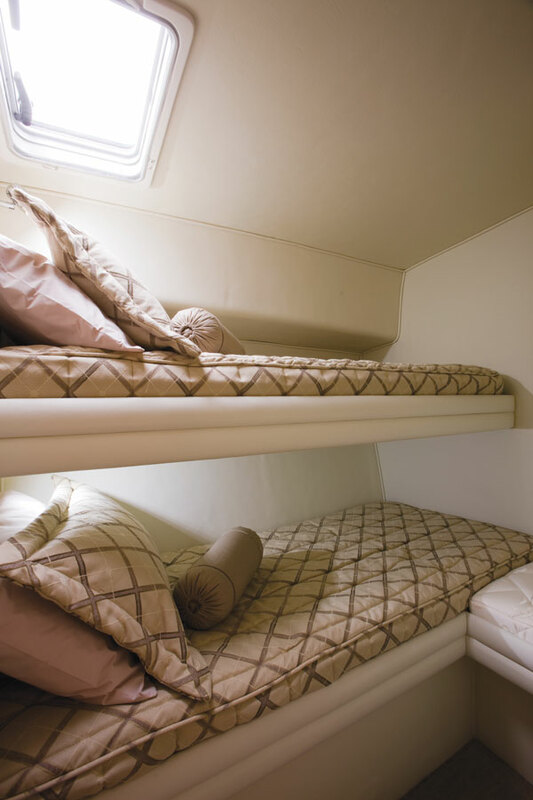 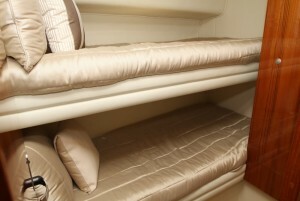 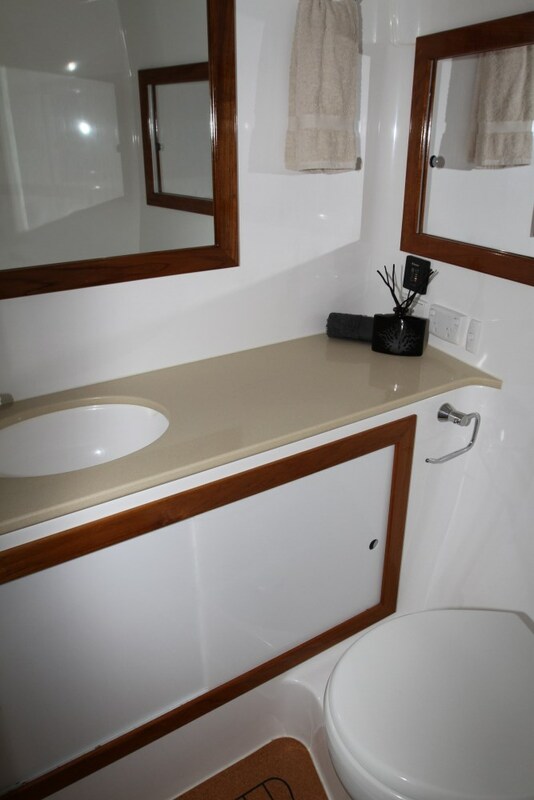 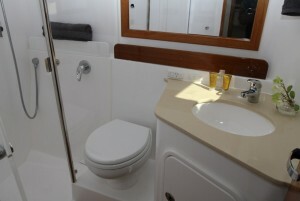 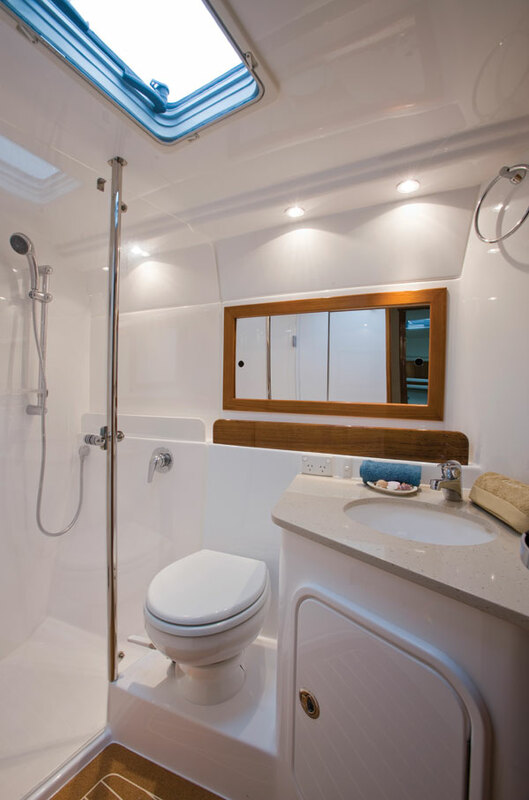 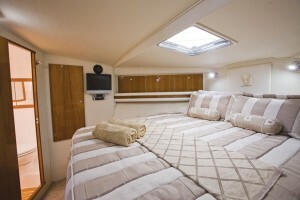 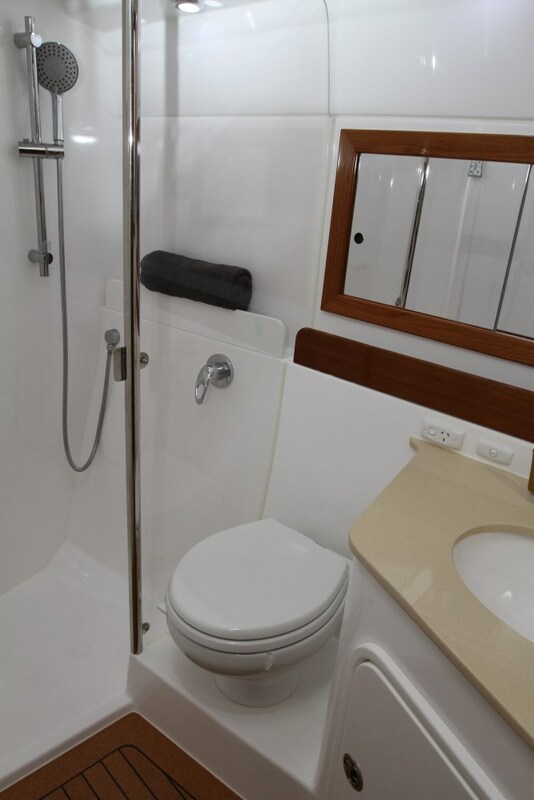 The accommodation layout is three cabin, two bathroom with an ensuite to the master. 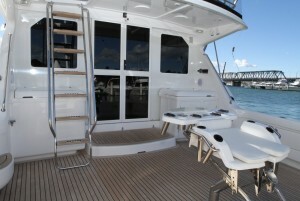 Stepping up into the Caribbean 49 enclosed bridge is an area large enough to be classed as another saloon. 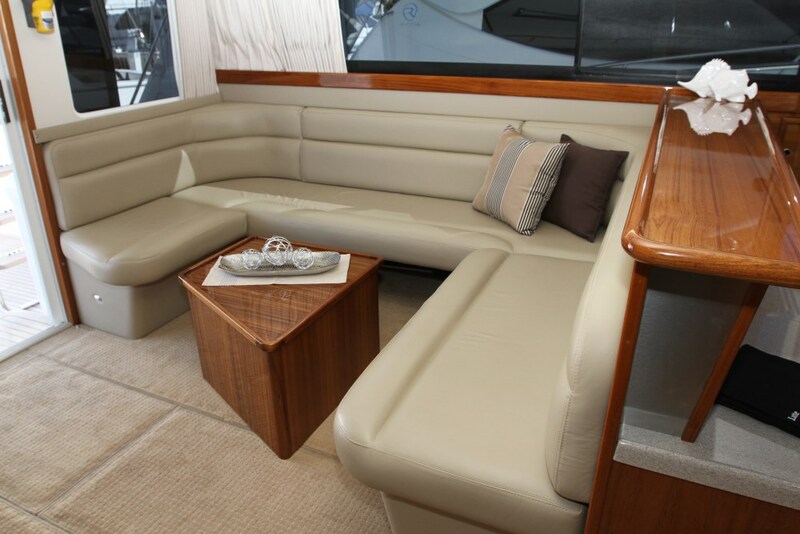 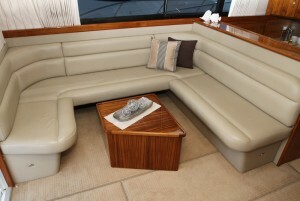 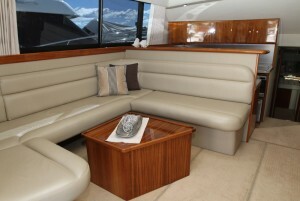 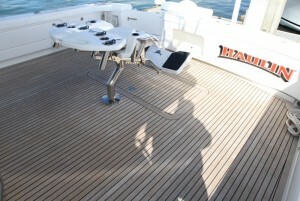 There is a forward L-shaped lounge with table, side lounge and dual helm chairs. 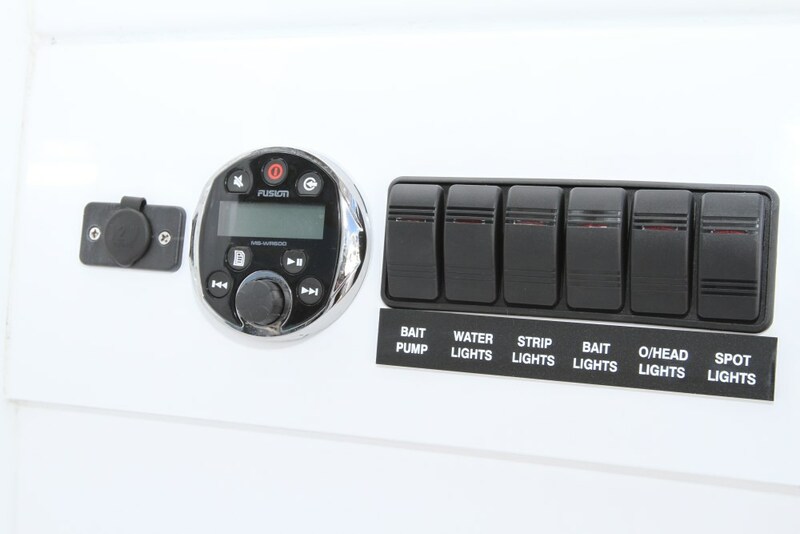 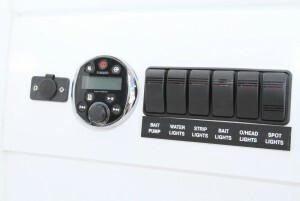 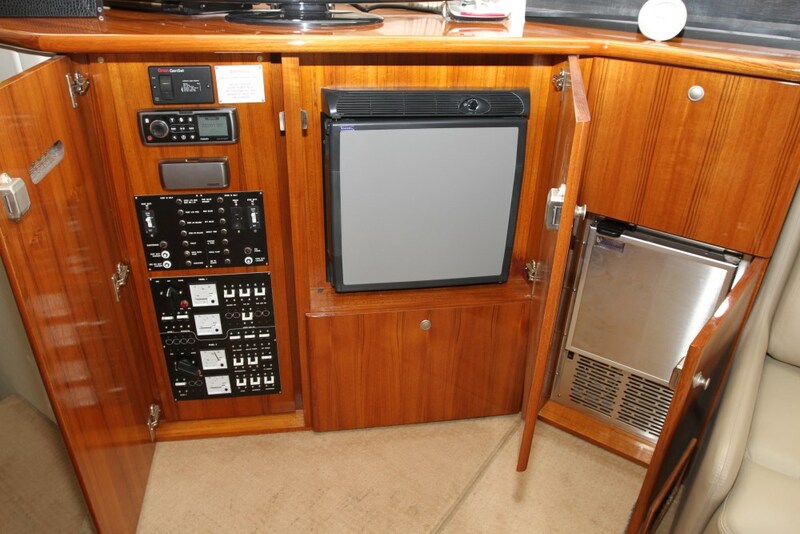 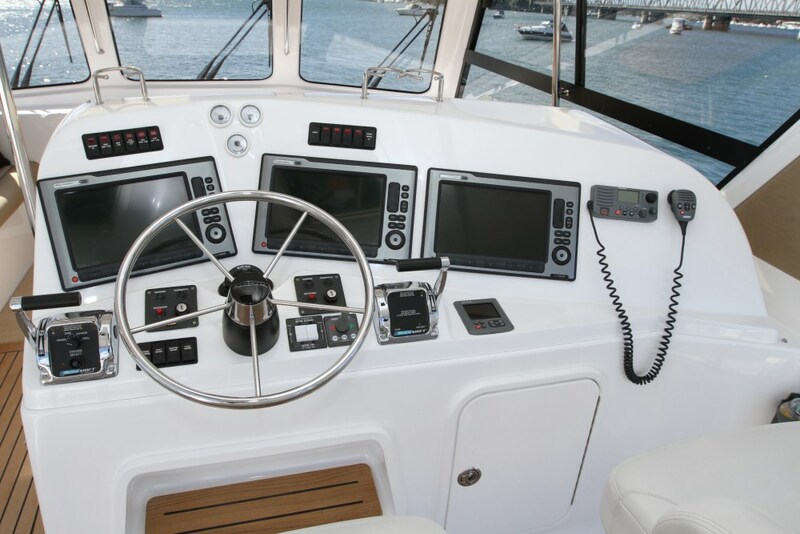 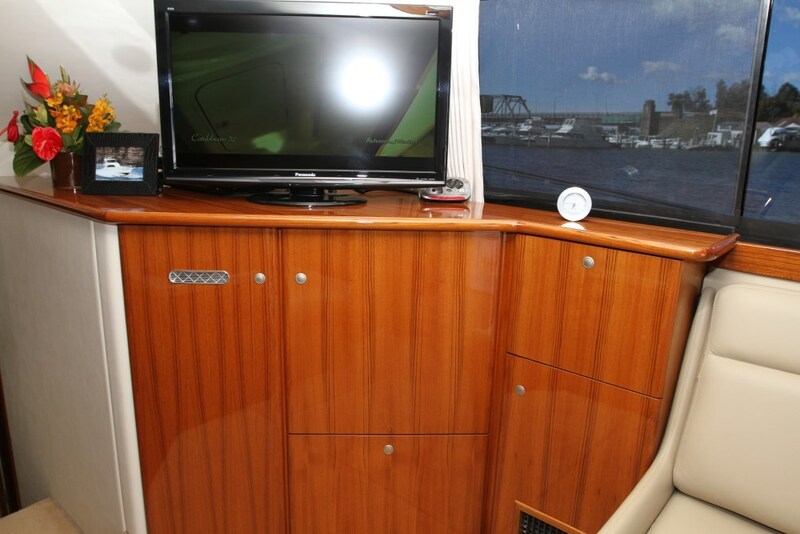 The flybridge dashboard on the Caribbean 49 has been designed as the control centre of the vessel with enough space to flush mount the largest of electronics screens and any other guages or displays you may need. 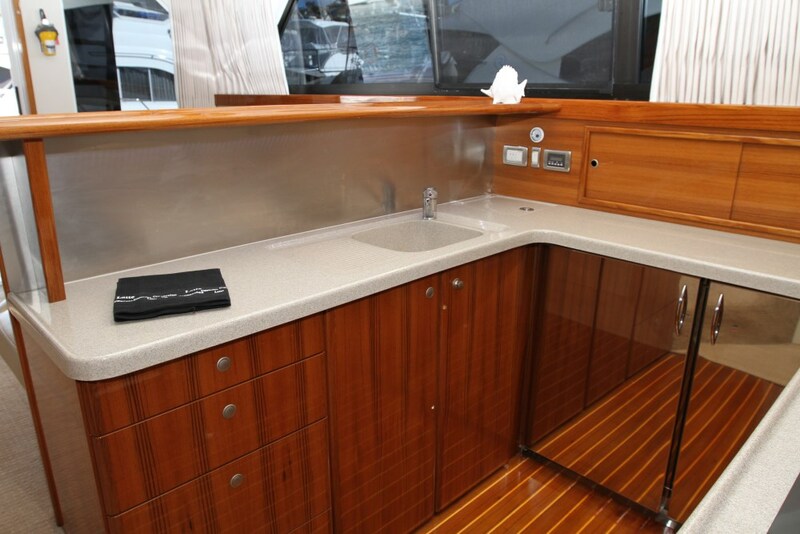 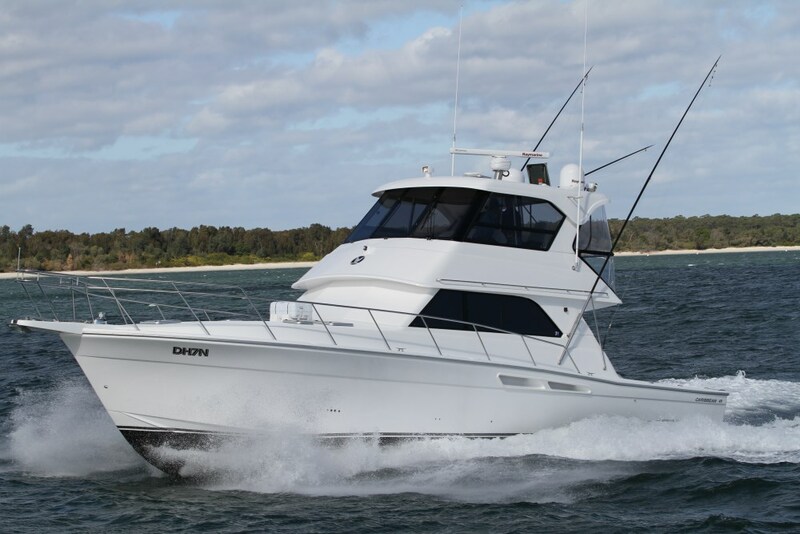 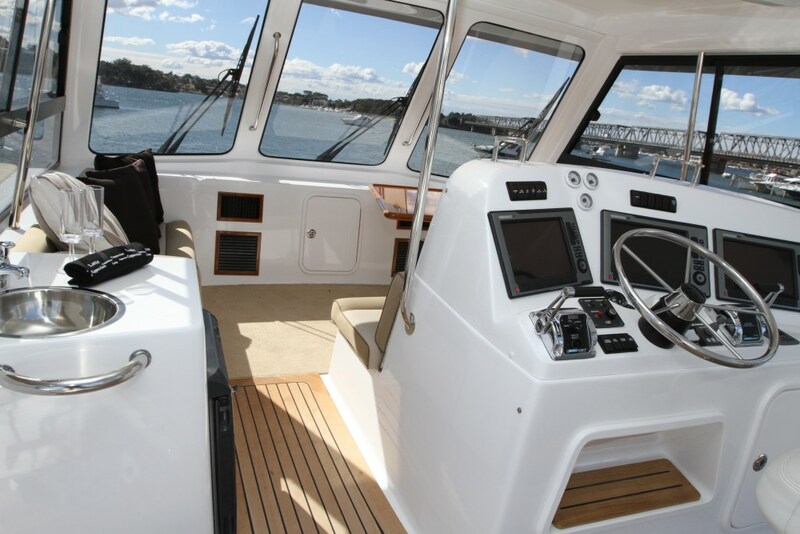 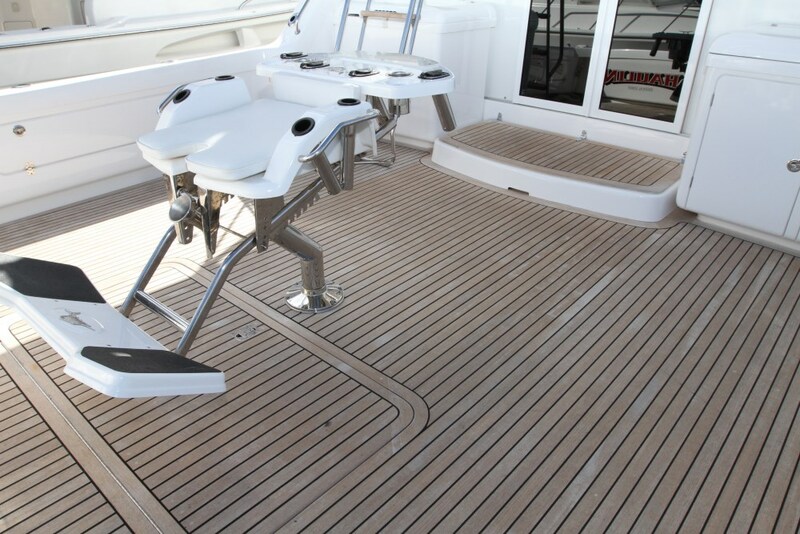 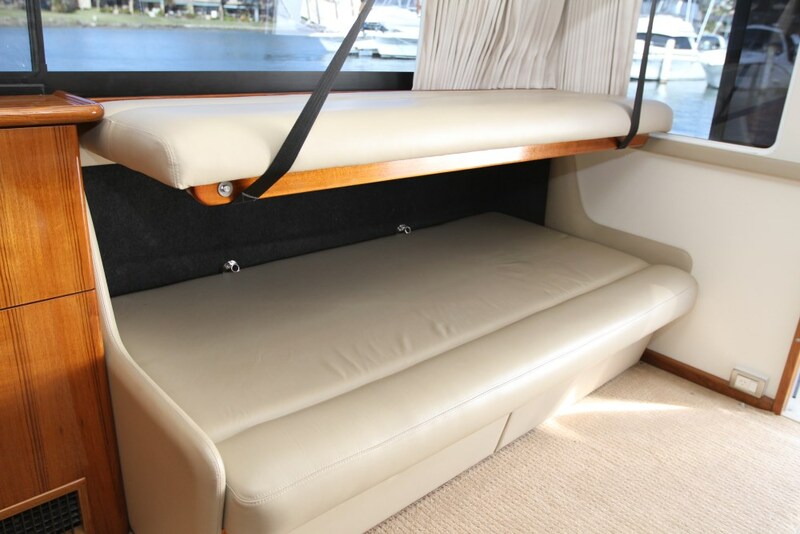 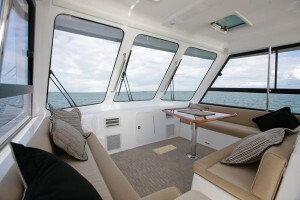 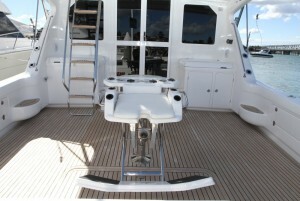 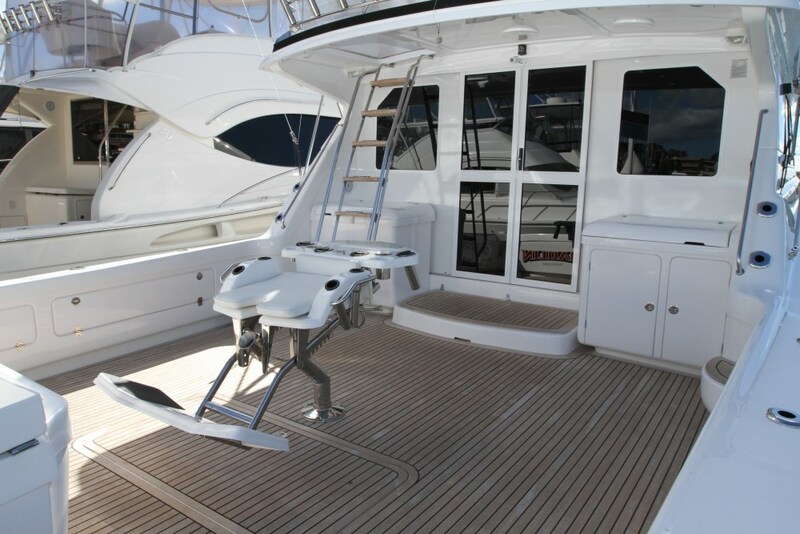 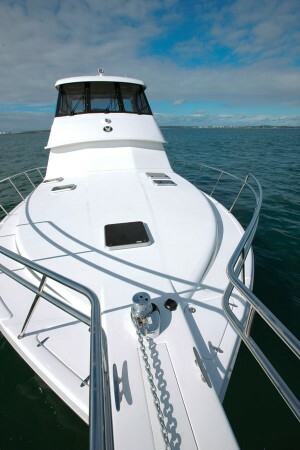 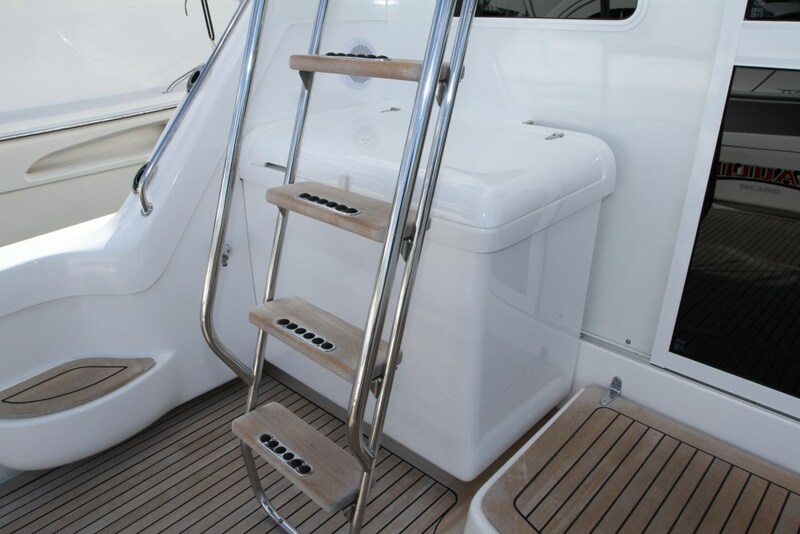 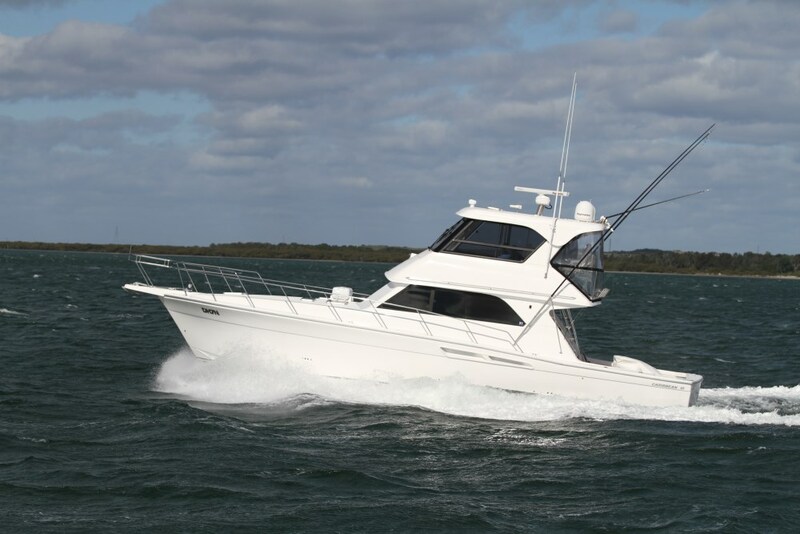 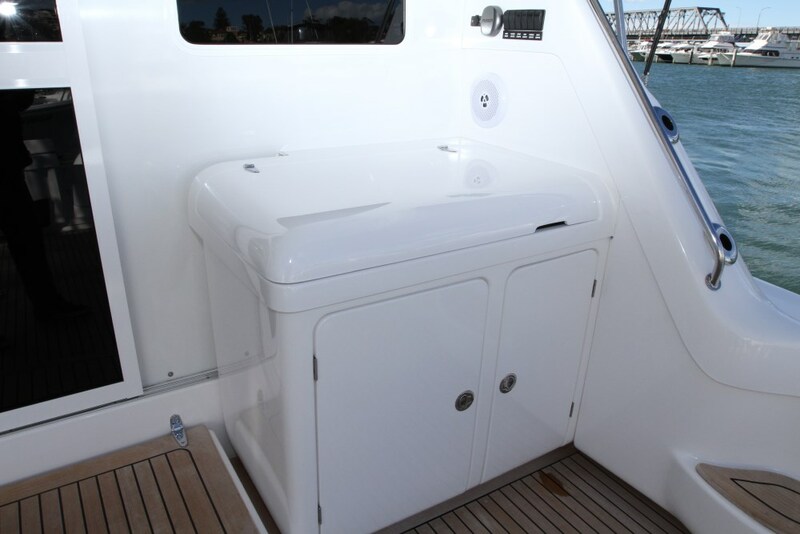 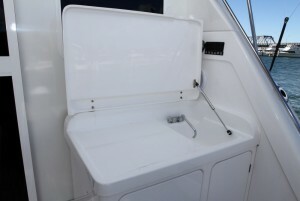 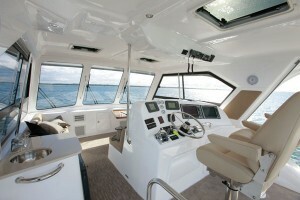 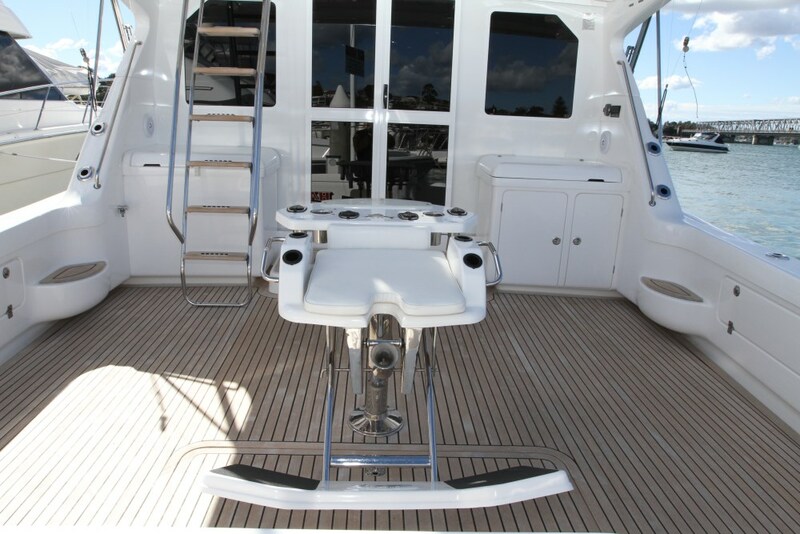 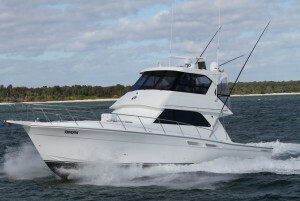 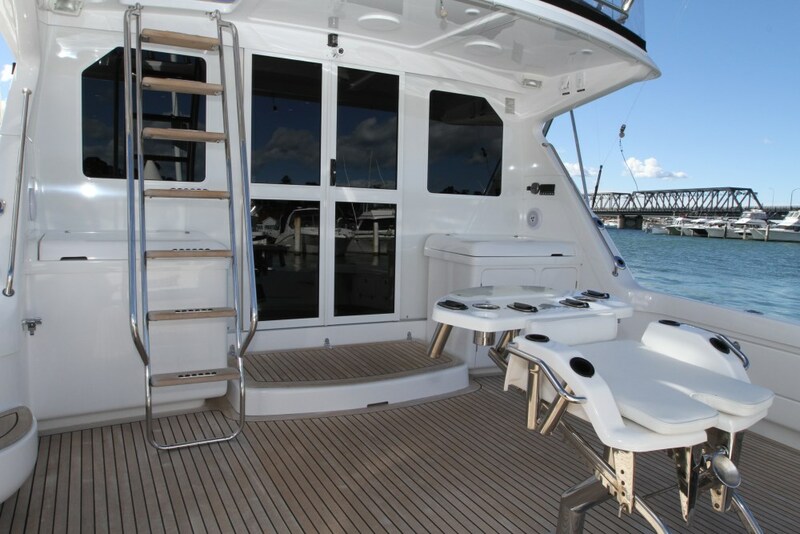 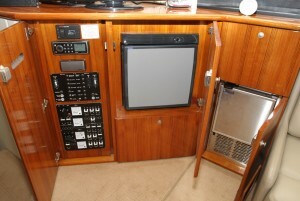 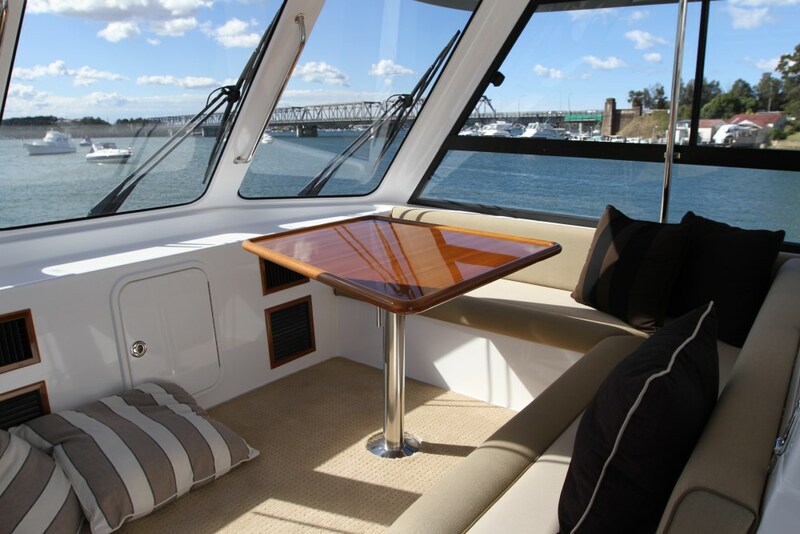 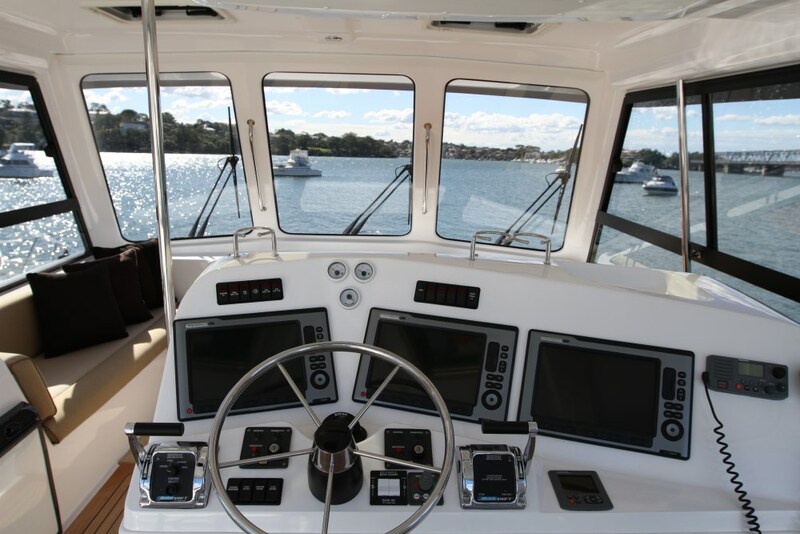 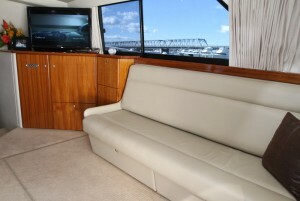 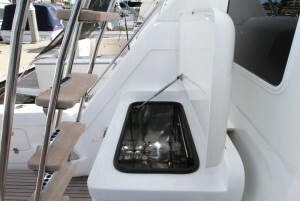 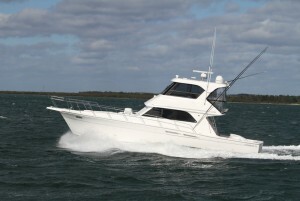 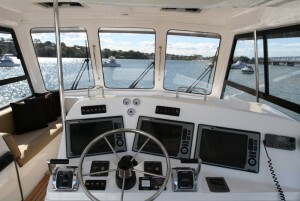 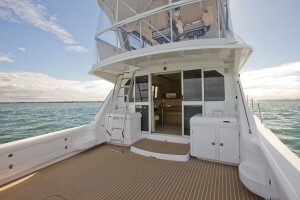 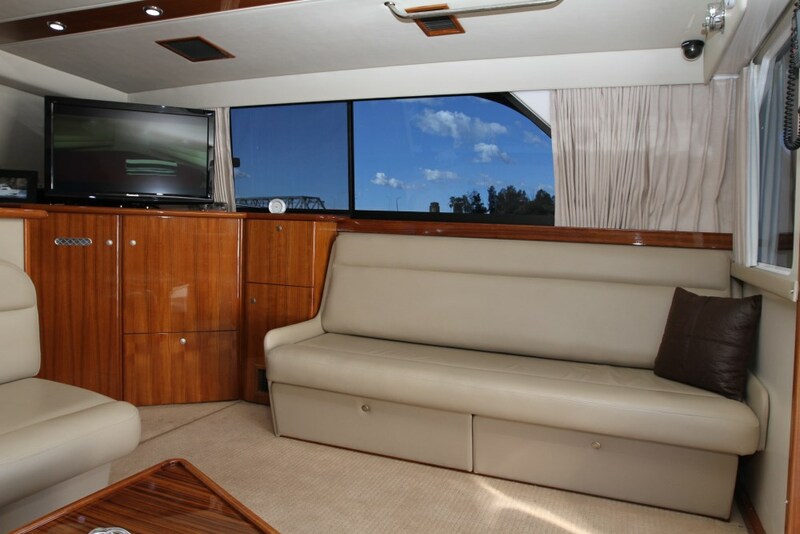 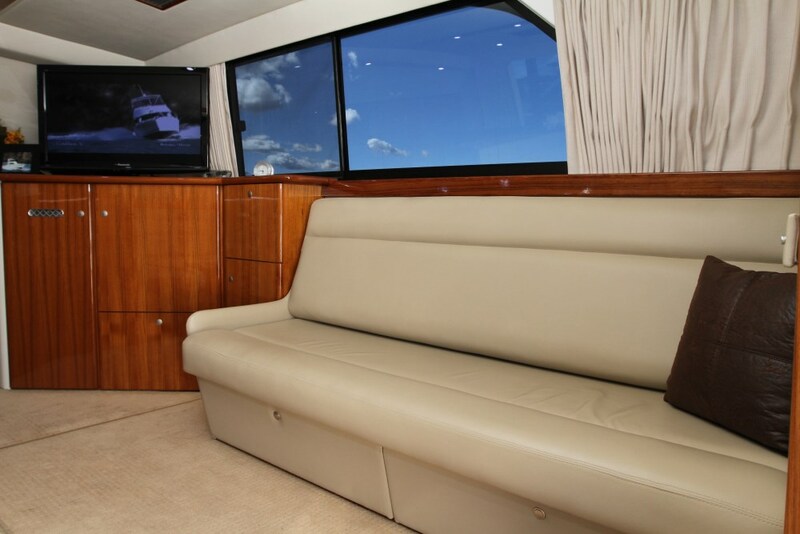 The Caribbean 49 cockpit is the largest available of any flybridge cruiser of this size having 165 square feet of area to entertain the largest amount of guests and become the ideal fishing platform at the same time. 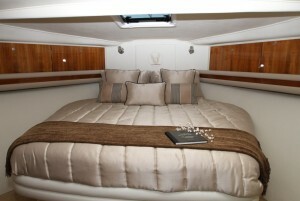 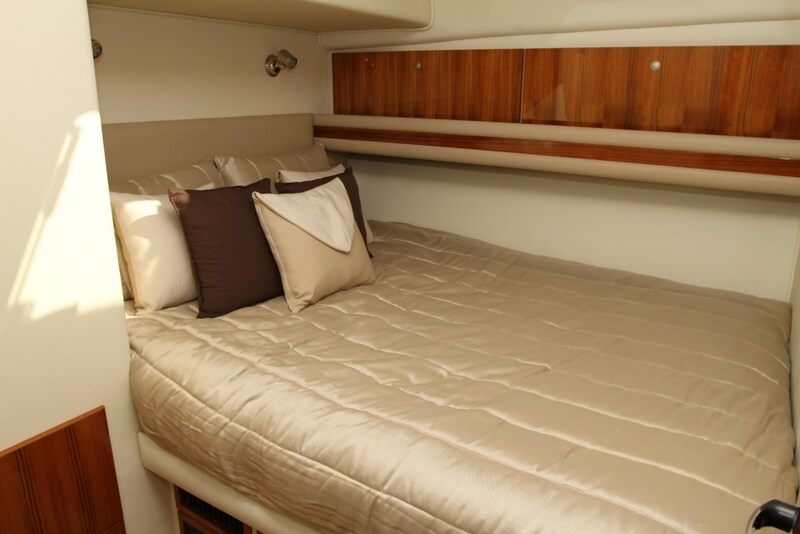 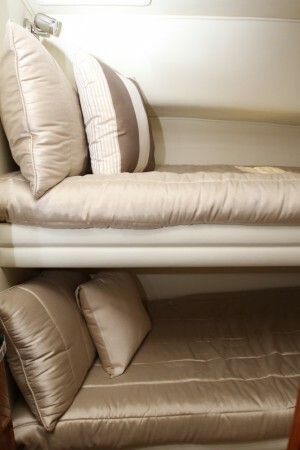 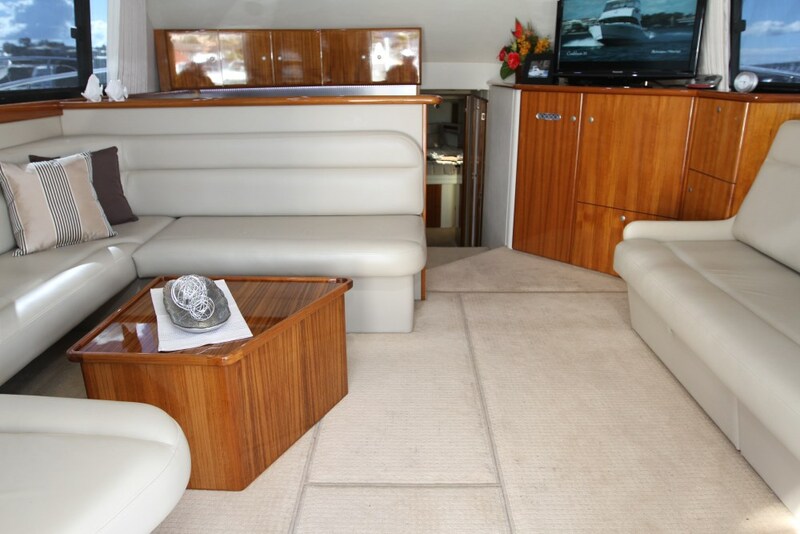 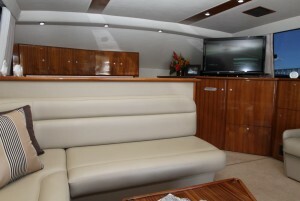 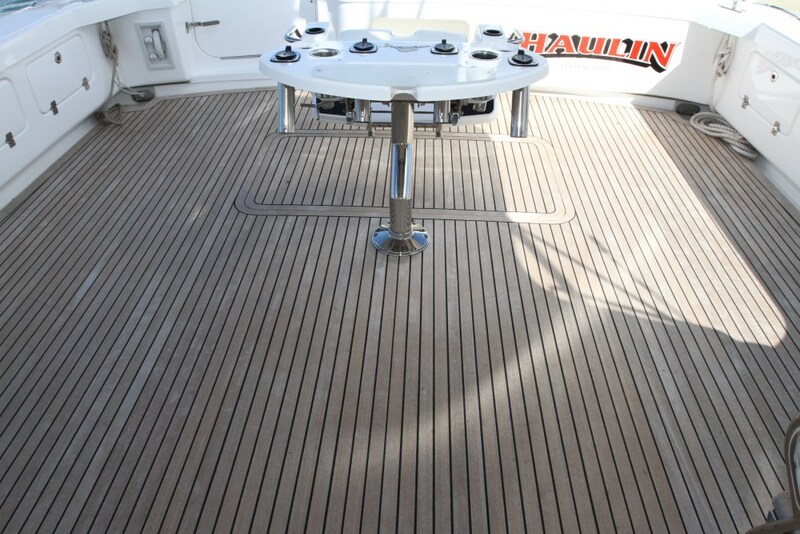 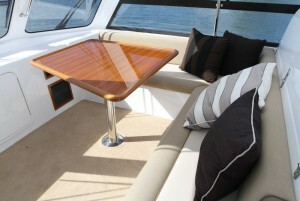 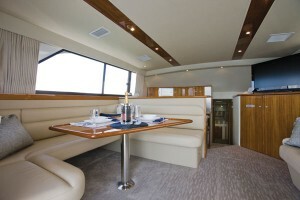 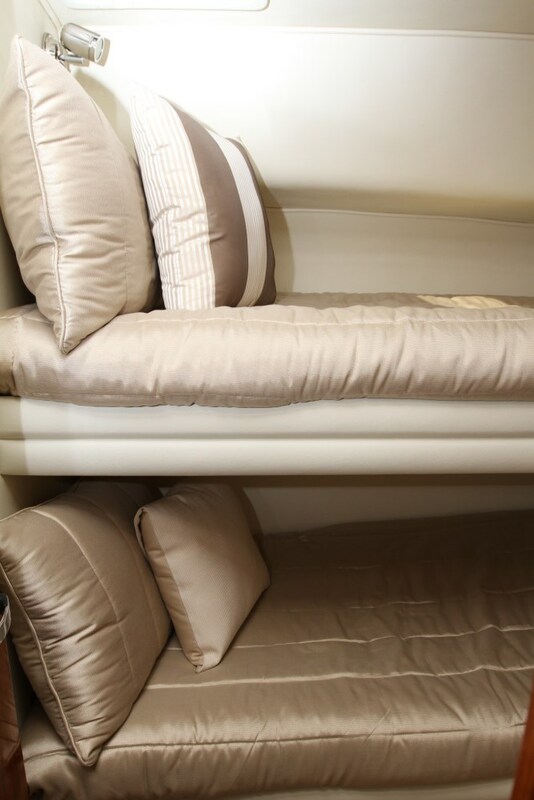 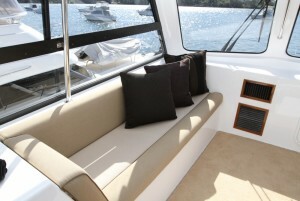 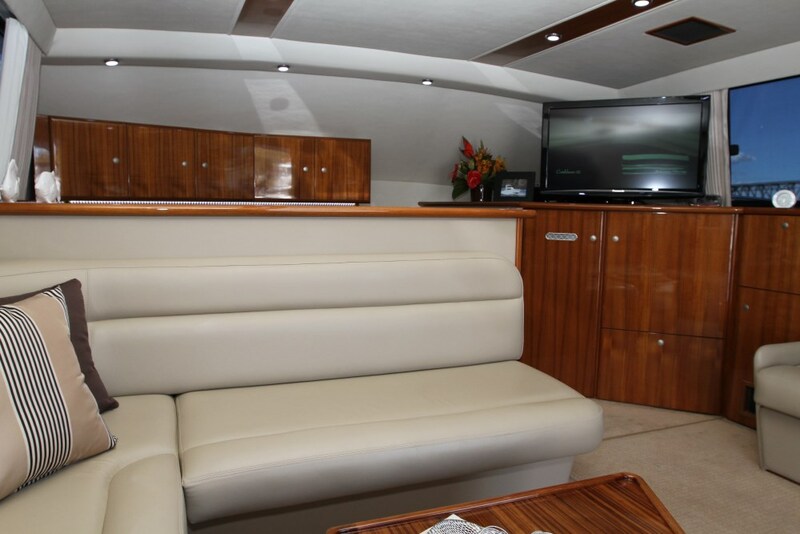 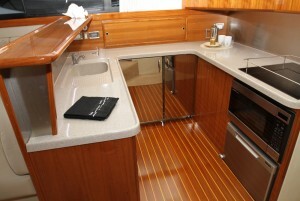 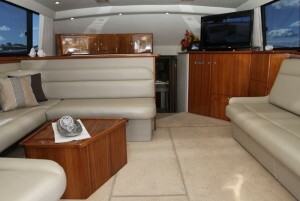 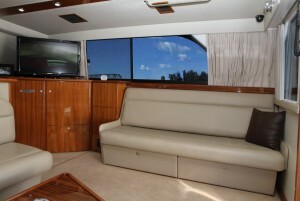 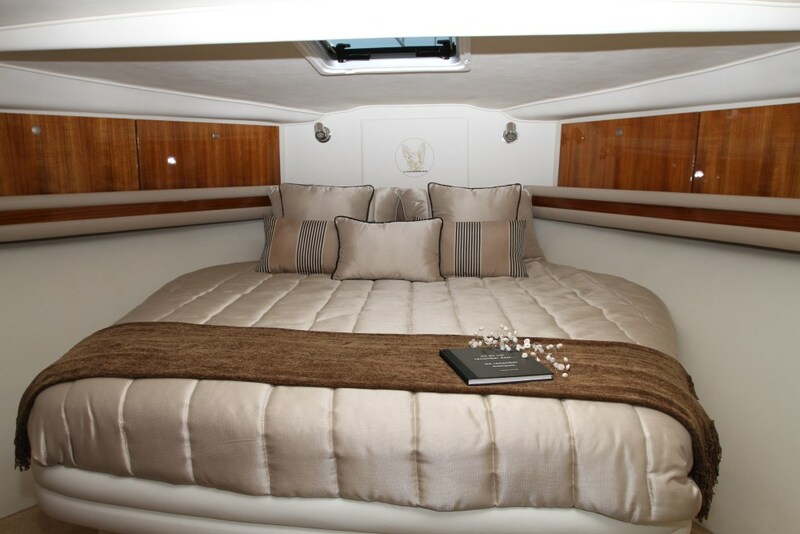 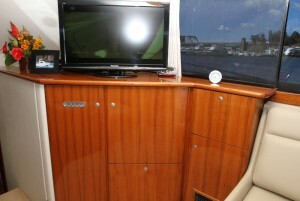 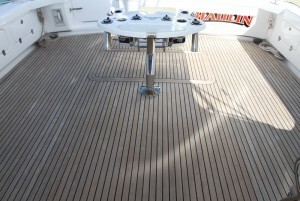 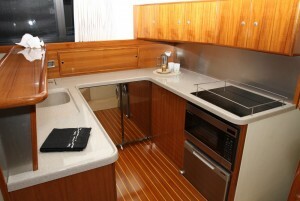 Whatever your needs, the Caribbean 49 enclosed will be able to cater for all occassions.